UON Central Coast is proud to celebrate over 25 years of world-class teaching, learning and research in our region. During this time, a strong community of career-ready students has flourished, with the campus shaping graduates into key members of our local area - and the world. 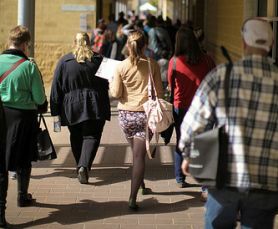 Situated just two minutes from the M1 Pacific Motorway, UON Central Coast is conveniently located and provides a range of flexible courses to suit a busy, modern lifestyle. This state-of-the-art facility is also home to the Hunter TAFE Ourimbah campus, the Central Coast Community College and local businesses - all of whom contribute to a diverse and growing community. Whether you are considering launching a new career, or enhancing an existing one, UON Central Coast has a suitable option for you. Apply today to find out where studying at the Central Coast's premier educational facility can take you. Our campus has inspired the personal and professional development of countless graduates across a host of industries. From ground-breaking researchers to award-winners in their respective fields, we are proud of the achievements of our alumni. Hear from some of our students on the Central Coast, from the past and present, to find out why UON has become Australia's number one young, dynamic place to study*. Nestled amidst beautiful bushland on Chittaway Road at Ourimbah, the campus is just an hour from both Sydney and Newcastle, with numerous public transport services running to the campus.